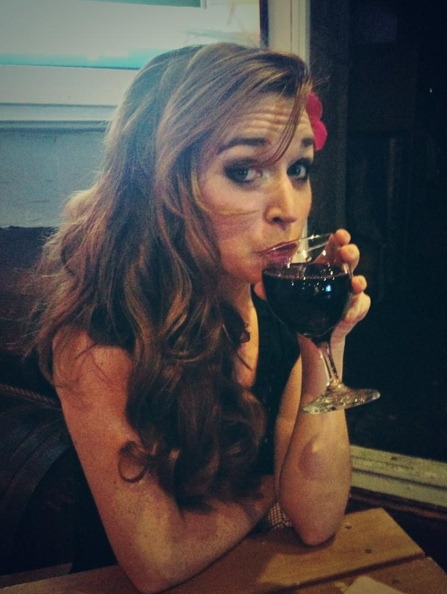 Miss Julia Reed Nichols who submitted the simply adorable wine picture for Edible Skinny's Vines to Vino Contest! Julia, who runs the nonprofit consulting firm Do Right! Industries, will be taking her spoils (a Private Reserve Tour and Tasting for 6 people at Alexander Valley Vineyards) and donating to one of the numerous charities that she works for! Talk about Charity Tuesday! Sick of hearing that her generation is nothing but narcissistic brats - Miss Nichols decided to start Do Right Industries with the idea of dedicating to helping nonprofits thrive and finding creative ways to work worthy causes into everyday business. Her work been featured on Good Day LA, The Queen Latifah Show, The Military Channel, LA Weekly, Time Out LA, The LA Times ,E! Online, US Weekly, Daily Mail and more. 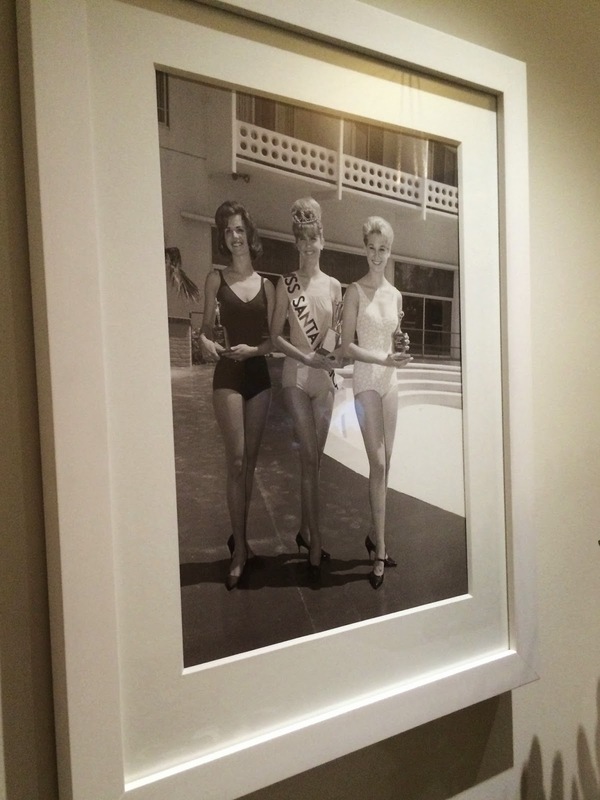 Past projects include events for Pin-Ups for Vets, LAPD’s Eagle & Badge Foundation, The Los Angeles Jazz Society, LA WineFest, The American Society of Music Arrangers & Composers, SHARE Ladies, California’s Disabled Veterans Business Alliance, City Club of Los Angeles, The Dollface Dames and more. 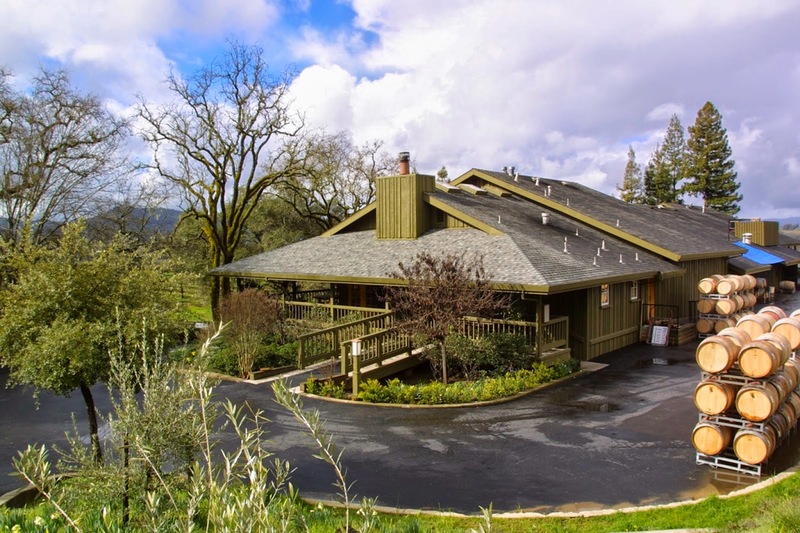 Alexander Valley Vineyards is a family-owned and operated winery located in the heart of Sonoma's Alexander Valley, on the historic site originally settled in the 1840's by valley namesake, Cyrus Alexander. With vineyards that stretch from the banks of the Russian River to the Mayacamas hillsides of the Wetzel Family continues the tradition of family farming on the property. 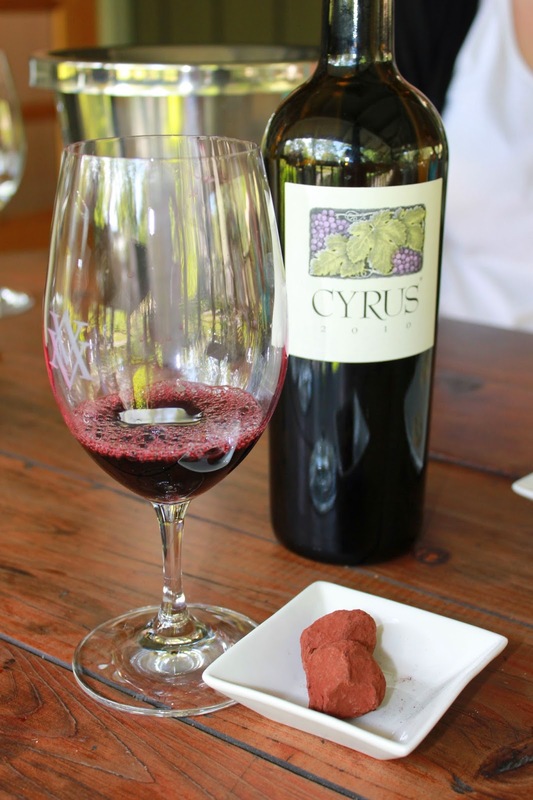 Their wines reflect the unique character of the region and they are known for elegant Cabernet Sauvignon, a trio of iconic Zinfandels - Sin Zin, Temptation & Redemption, luscious Chardonnay, rich Merlot and their flagship, CYRUS - the first growth of Sonoma. I'm sure Alexander Valley Vineyards is glad their giveaway will end up benefiting so many people with Do Right Industries! Happy Charity Tuesday!!! 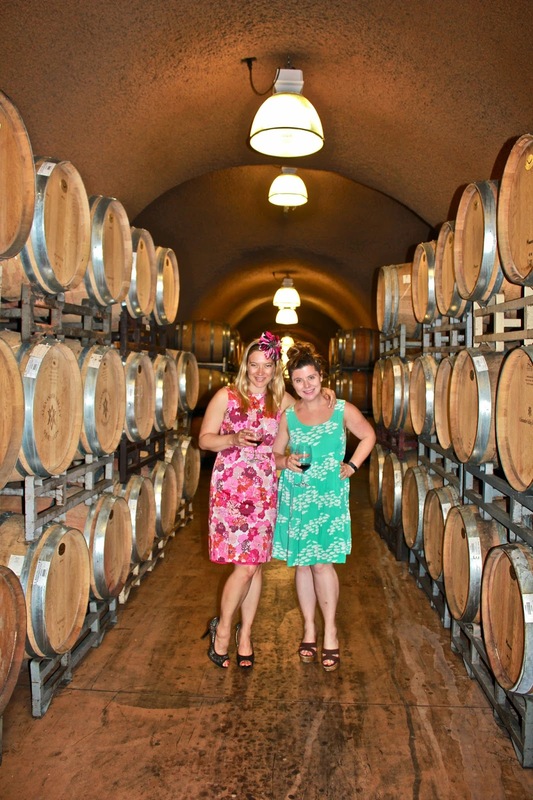 The next day Kelly and I headed into Carmel Valley to check out Holman Ranch Vineyards & Winery’s Tasting Room. No trip to the Monterey Peninsula would be complete without the lovely 20-minute drive along the Carmel River to sunny Carmel Valley Village, which offers a bright escape from Carmel-by-the-Sea’s costal fog. Carmel Valley Village offers its own bucolic blend of fine dining, art and fashion, and (at last count more) than 19 local wine tasting rooms. Situated between Carmel and the rugged peaks and valleys of the Santa Lucia Mountains, Carmel Valley Village offers the perfect get away from the hustle and bustle of city life (believe it or not it’s considered even more sleepy than Carmel-by-the-Sea). But we weren’t only in town for the lazy drive we had a target: Holman Ranch Vineyards & Winery Tasting Room! Located at the northeastern tip of the Carmel Valley Appellation, the family-owned 400-acre Holman Ranch Vineyards & Winery resides approximately 12 miles inland from the Pacific Coast. Established in 1882, the ranch founds its true roots in 1928 when a San Francisco businessman, Gordon Armsby, was attracted to the rich farmland and leisurely pace of Carmel Valley, and purchased 600 acres in the Los Laurels area of the Valley, including what would be Holman Ranch. Armsby hired Clarence Tantau (of Del Monte Hotel fame) to design the home that would reside on his new property. Tantau and Armsby chose a classic Spanish-style hacienda, which proffered impressive stone walls—all built from local Carmel stone. They installed handmade Mexican terracotta roofing and hand-carved oak-beamed ceilings. Nestled in a stand of mature oaks, nicknamed “Casa Escondida,” or “Hidden House,” the estate served as an exclusive hideaway for many Hollywood celebrities including Charlie Chaplin and Theda Bara. Thomas and Jarman Lowder purchased Holman Ranch in 2006. Recently retired, they decided to fulfill a lifelong dream to make estate grown wine and olive oil. What could be better? The ranch has proven to be an excellent growing location for their estate-grown wine varietals, which are planted on approximately 19 acres of undulating terrain. The warmth of their inland valley coupled with the cooling marine layer has established itself as an ideal microclimate for the production of Pinot Noir and Pinot Gris. Their Burgundy Clones have thrived from the perfect blend of ideal climate, southern exposure and thin rocky soils. Their wines are unfired (so don't be surprised by some sediment!) and crafted to deliver the true varietal of the grape from harvest to bottle. The winery at Holman Ranch, located in The Caves, is completely underground in order to take advantage of the natural cooling and humidity held below. The 3000 square foot area maintains a constant temperature of 58˚F-60 ˚F and contains four 750 gallon tanks, four 1200 gallon tanks, and four open top tanks that can hold two tons each. 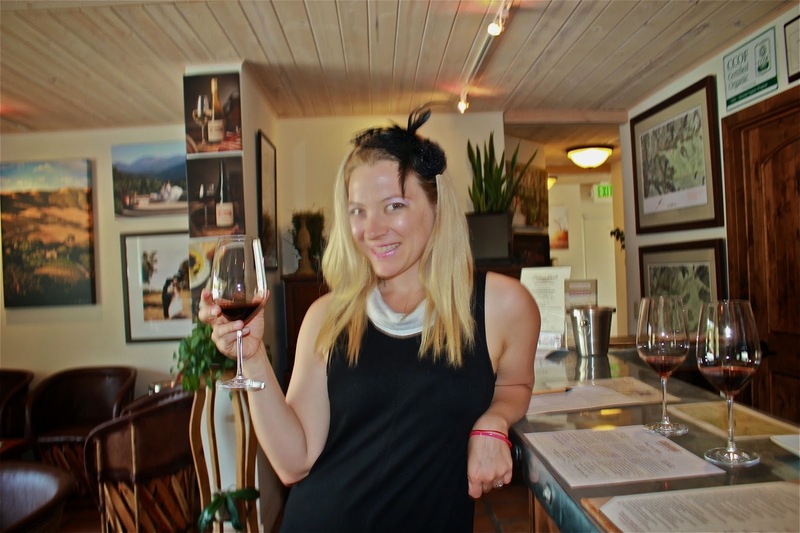 Holman Ranch Vineyards & Winery Tasting Room (located a few miles away in “downtown” Carmel Valley) showcases the estate wines of Holman Ranch, which includes their Pinot Noir, Pinot Gris, Chardonnay, Sauvignon Blanc, and Rosé of Pinot Noir. There is something for everyone (4 varietals in fact), from the full-bodied Pinot Noirs to the light, fruity flavors of their Pinot Gris and lightly oaked Chardonnay. 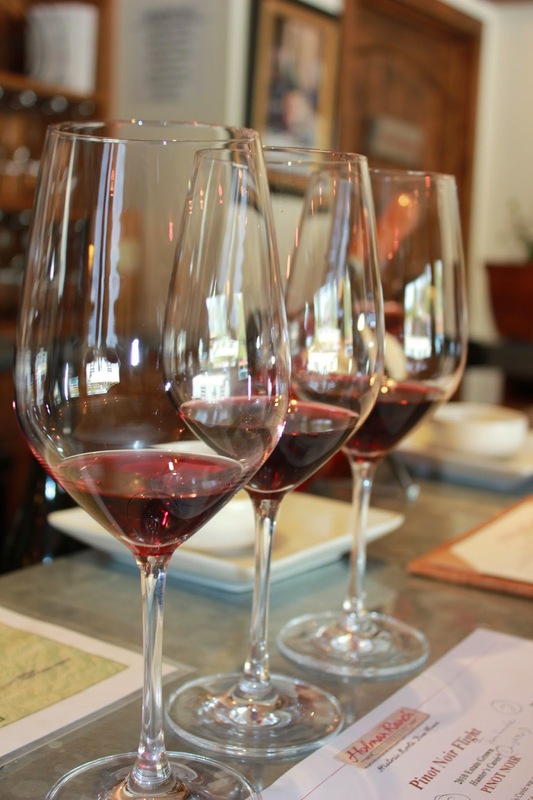 Three tasting flights of three wines each (White, Mountain and Pinot Noir) are available 7 days a week. (Edible Skinny was lucky enough to sample from all three and even try some bottles aren’t even available to the public!). Though they’re winery has only been around for a short time, Holman Ranch’s 2011 Chardonnay won Gold at this year’s Sunset Magazines 3rd Annual International Wine Competition while their 2010 Pinot Noir and Hunter’s Cuvee Pinot Noir placed in the Silver category. In 2012, National Geographic named the 2010 Hunter’s Cuvee ($40) one of the 10 Best Wines out there in their book: The 10 Best Of Everything: An Ultimate Guide for Travelers. This wine (one of my absolute favorites during our tasting) presents a bold, rich taste with subtle hints of blueberry and raspberry jam. It is intense and long on the palate. But due to its popularity Hunter’s Cuvee is only available to wine club members at this time. But this is a great excuse to join, as Holman Ranch’s Grand Estate Club was one of the best wine clubs we encountered during our whole Vines to Vines tour. Their twice a year shipment includes a selection of their limited-production Pinot Noirs and/or White wines in each case and as an exclusive benefit to the Grand Membership, each member is entitled to a complimentary two-night stay for two in one of Holman Ranch’s hospitality cottages on the ranch property. How stellar is that? And then there’s the olive oil! 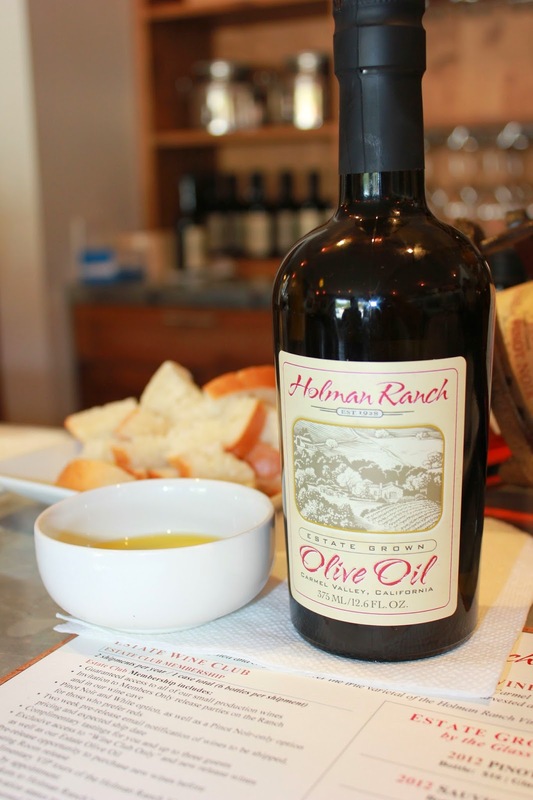 Holman Ranch also offers estate grown and bottled Olive Oil available for tasting and purchase at the Tasting Room. Carefully hand-harvested, cold pressed and bottled, the Extra Virgin Olive Oil produced from the fruits of their Tuscan trees has a delightful spice followed by a buttery finish. Holman Ranch has its own distinctive olive grove located on a south facing hill of their vineyard. The grove is comprised of 100 trees with multiple cultivars planted. These cultivars consist of 25 Frantoio, 25 Leccino, 10 Mission, 25 Coratina, 5 Pendolino, and 10 Picholine, all of which were originally planted in 1994 in a Carmel Valley orchard then replanted at Holman Ranch in 2007. Although the Olive Grove is not certified organic, they do employ organic practices when farming their trees. Their mill, however, is certified organic. An interesting factoid (fFactoids!) is that olive trees are alternate bearing, which means that one year they may produce 650, 375ml bottles worth of oil, while next year they may produce only 50, 375ml bottles. According to Peter the lovely Tasting Room Manager, is a complete labor of love for the ranch and you can tell in the last of every golden droplet! After taking a break from posting on our Vines to Vino trip Edible Skinny now resumes to finish the tales Carmel-by-the-Sea! 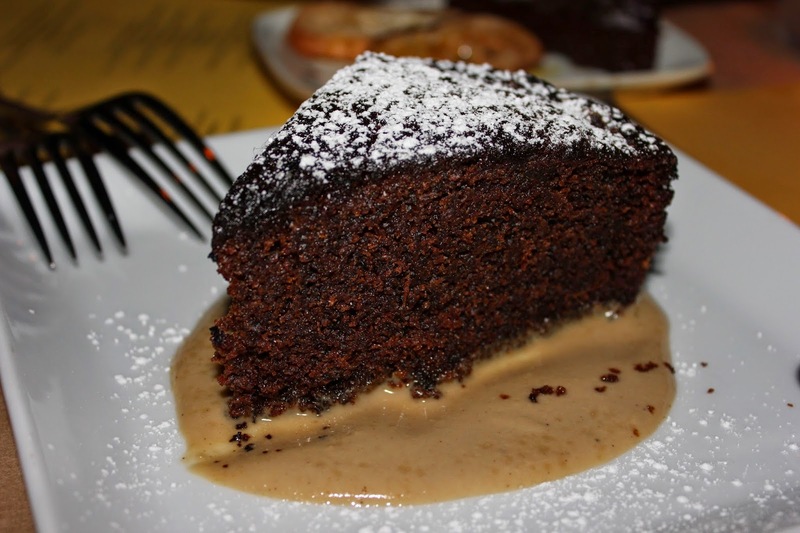 So our first night at Carmel-by-the-Sea we had the pleasure of dinning at the scrumptious Mundaka! 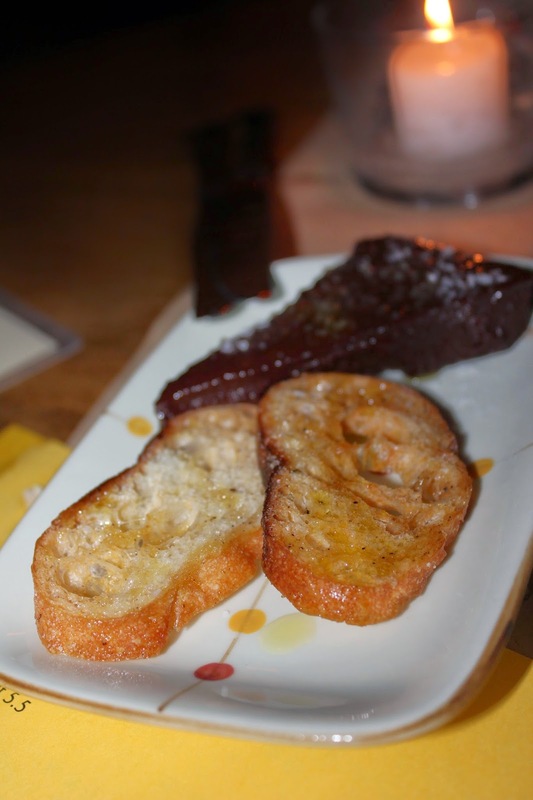 Opened in March 2009, Mundaka was a Spanish style tapas restaurant located blocks away from Hofsas House. It’s Spain by way of Belgium chef and owner Brandon Miller (who did a culinary food tour in Espana). Mundaka is the type of place where locals usually make their way there once a week and couples celebrate their anniversary. 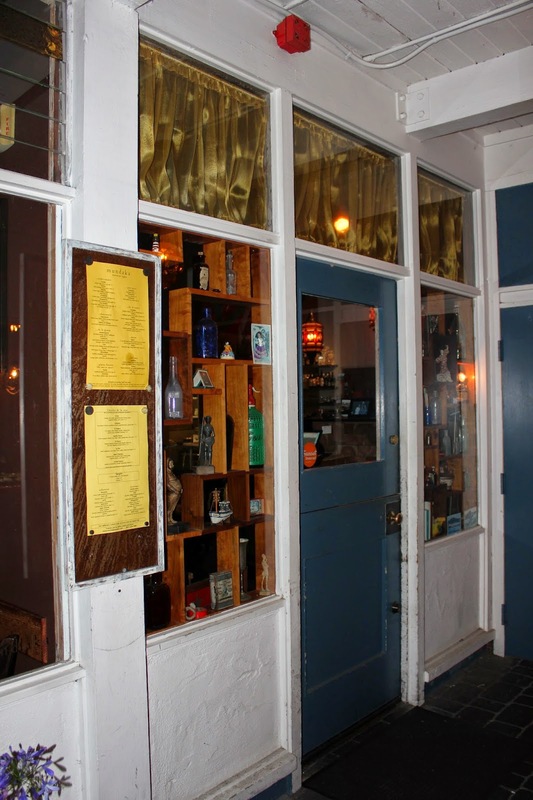 It’s good food and drink (but not to excess) at a reasonable price. As soon as you enter there are echoes of Espana in every corner. The interior is dim with a darkness that is full of excitable uncertainty. The Basque country flag proudly hangs from the ceiling. The soundtrack of Vicki, Christina, Barcelona plays in the background. Kelly (who lived in Barcelona for a year) noted how Mundaka emitted the calmness of an European restaurant, of a Mediterranean meditation. Mundaka means surfer in Spain and it follows that the restaurant would have a laid back casual attitude about the entire dining experience. NO: antibiotics, hormones, pesticides, high fructose corn syrup, artificial colors, artificial flavors, processed foods. It’s in the details. House made Sangria with red wine. Lawrence of Arabia projected on the wall. Perfecting a few bites of everything. 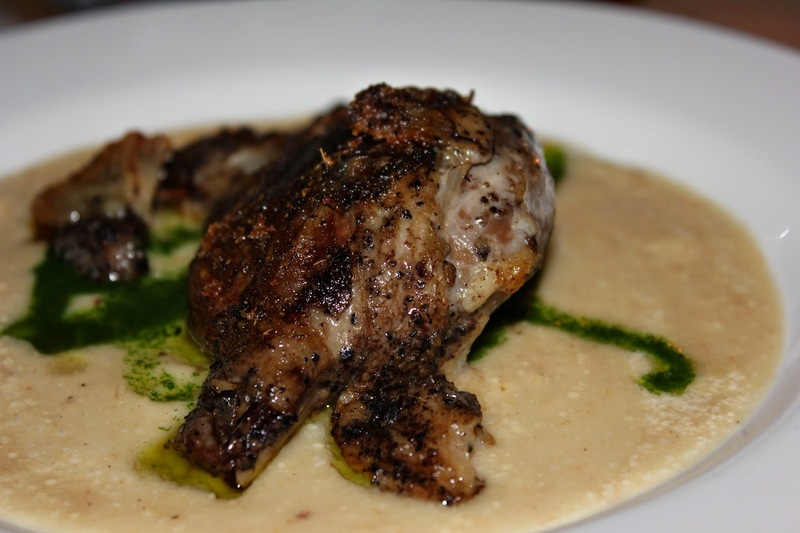 Each dish is delicate and distinct without being overwhelming. It’s the mastery of a few ingredients. Being the Veggie of the group I tried the multiple plant-based options on the menu. It can be hard for vegetables to be delectably bold, but Mundaka positively rocked it! The Papa Bravas ($5.5), a classic Spanish dish of fried potatoes, tomato sauce, and aioli, was delightfully spicy with hints of chipotle smokiness. 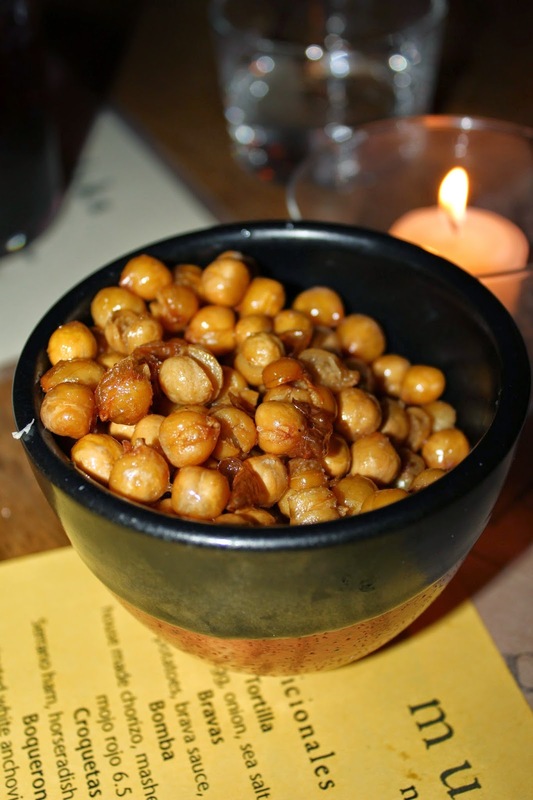 The Fried Garbanzos with Truffle Salt ($5.5) were delicately toasty like popcorn, but so much more advanced. Absolutely not to be missed!!! 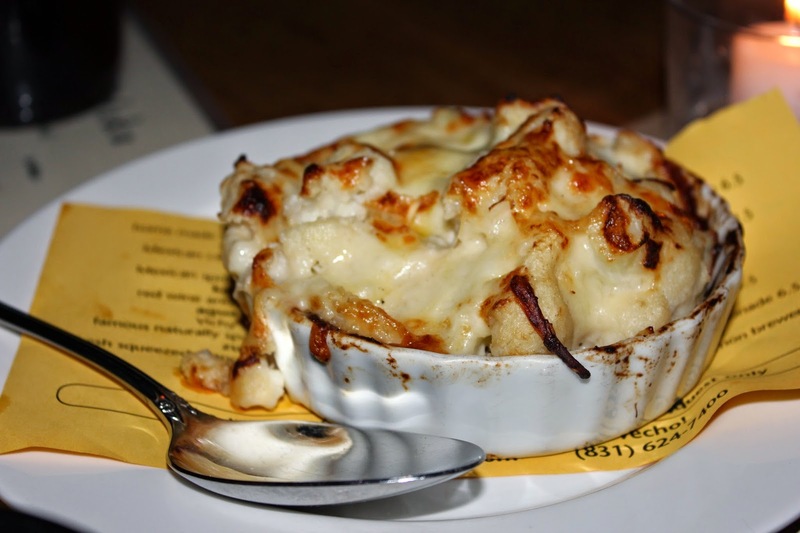 The Coliflor, a dish of Cauliflower gratin, horseradish, Gruyere ($8.5) was rich and homey, like the food equivalent of a warm couch. The horseradish aftertaste definitely made sure you weren’t going to forget it. Edible Skinny was lucky enough to attend the first Los Angeles ‘Urban Exposure’ Garagiste Festival at Union Station last week with the lovely Miss Angelina Meany. 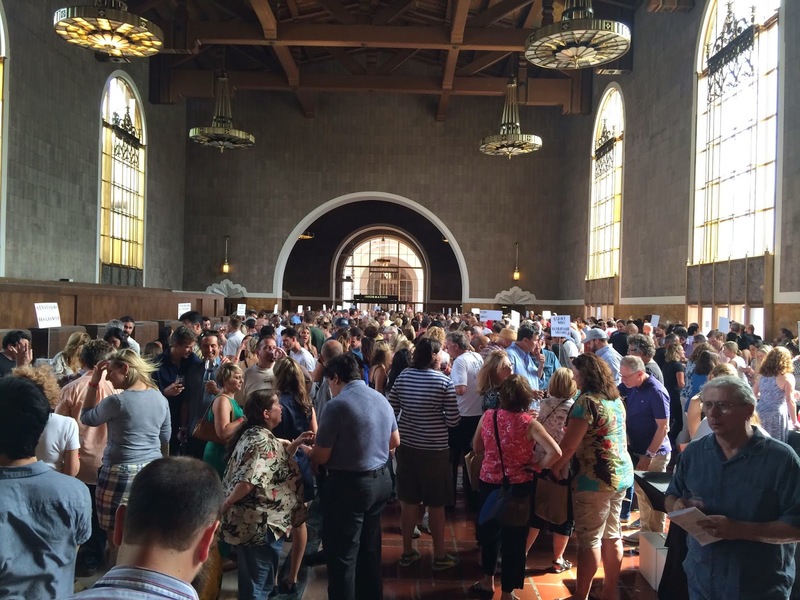 Despite the heat, the Garagiste Festival welcomed 500 Angelenos to this sold out event with 45 artisan winemakers, including 12 commercial, urban-based micro-production artisan winemakers who live in Los Angeles. 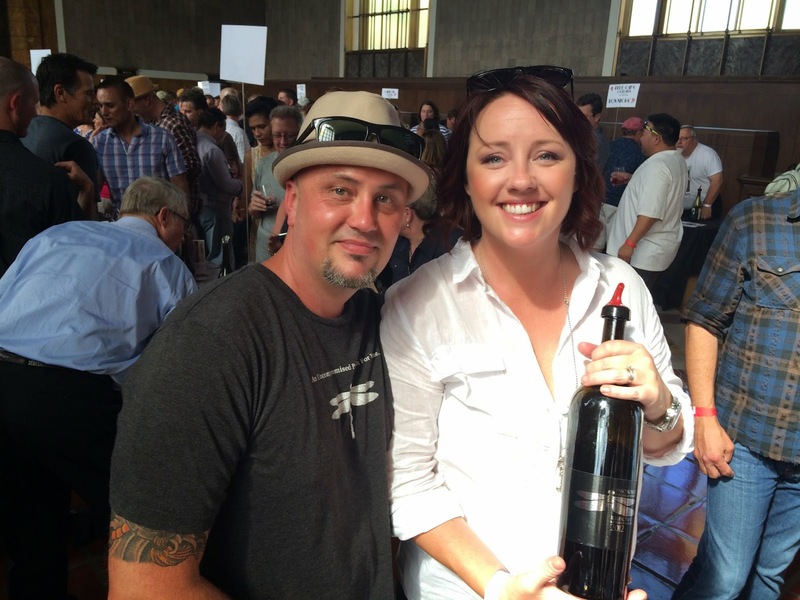 The non-profit Garagiste Festivals are the only events that exclusively showcase high-quality, cutting-edge, small-production commercial wineries that produce fewer than 1,500 cases a year, and have emerged as among the most unique and influential wine events in the US. Pulchella (1,000 Cases) was our absolute favorite winery at Garagiste!!! The brainchild of troublemakers, Nate Hasper and Steve Lemley; Steve was present at the festival with his lovely wife and they were absolutely dolls! Part bubbly/part intense the Lemleys were absolutely passionate about their small lot wines made from some of Paso Robles best vineyards! Two of their standouts were Highs & Lows (66% Syrah/34% Grenache) at $39 and their Tannat Reserve (That’s right they do a full on Tannat that Miss Angelina Meany called “a punch in the face, in a good way!”) at $69. Cloak & Dagger (1,000 Cases) has ties in Malibu even though the grapes and wine come from Paso Robles. With the tagline of “Handcrafted in Secret” (they had to keep their ownership and production a secret when they first started out 3 years ago) you know they mean business! Our favorite was their very bright “Novus Ordo Seclorume” Cuvee Reserve (Sangiovese/Syrah blend) at $40. With only 25 cases you better drink up before it disappears! The Central Coast Group Project (280 Cases) was pouring the futures of their first vintage. Their Barrington Hall Wine Dinner Special Cuvee and Names Syrah are sourced from top shelf vineyards such as White Hawk and Thompson and are full of intense fruit. La Fenetre (1500 Cases) is a friend of Edible Skinny. Created by Josh Klapper they concoct a Chardonnay, a Syrah, and two Pinot Noirs. On top of that Josh also creates the resident wine for FIG Restaurant at the Fairmont Miramar in Santa Monica. 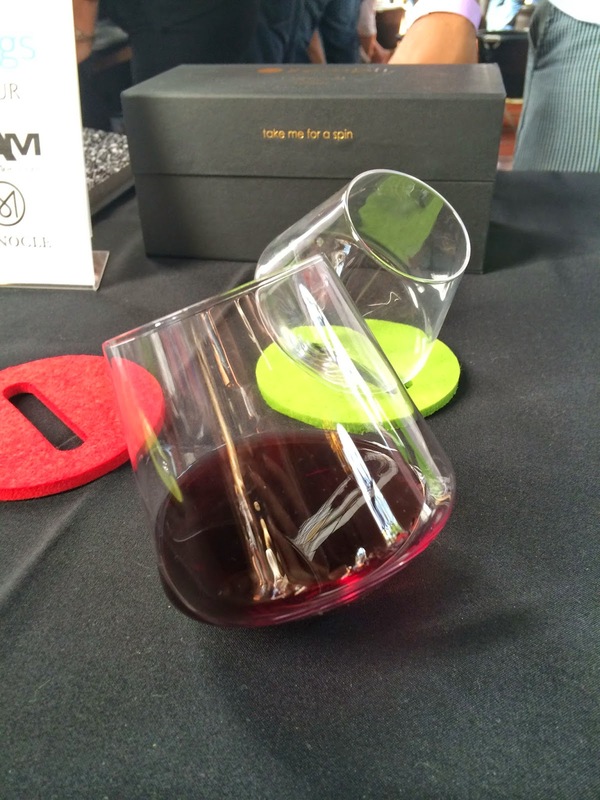 Sempli isn't a winery or vineyard but a product design company that makes hand blown glasses and decanters designed to aerate your favorite wine with their unique stemless construction. Their uneven bottom creates a swirling rotation when set down that assists the oxygenation of the wine. The Garagiste Festivals recently announced the dates for the fourth annual Paso Robles Garagiste Festival November 6th – 9th, 2014. Returning to its roots in the heart of Paso Robles, the event will expand to Ponderosa Pavilion at Paso Robles Fairgrounds along with other local venues for four days of tastings and educational events with over 50 artisan ‘garagiste’ winemakers. Returning popular events include the Opening Round, two wine tasting seminars, Shiners, Samples and Secrets, and the festival’s signature Rockin’ After Party. Jordan Just Became My New Favorite Wine..! Let's dance! So Jordan Vineyard & Winery just became my new favorite wine based on this YouTube video. 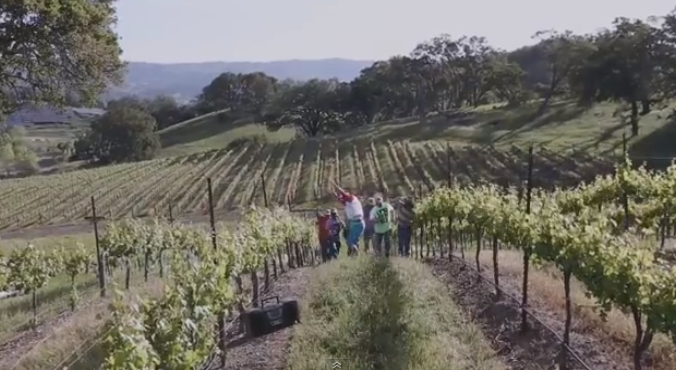 Jordan's latest vintages were released nationally on May 1, and since May was National Fitness Month, they decided to make a music video to get everyone ready for their new wines. 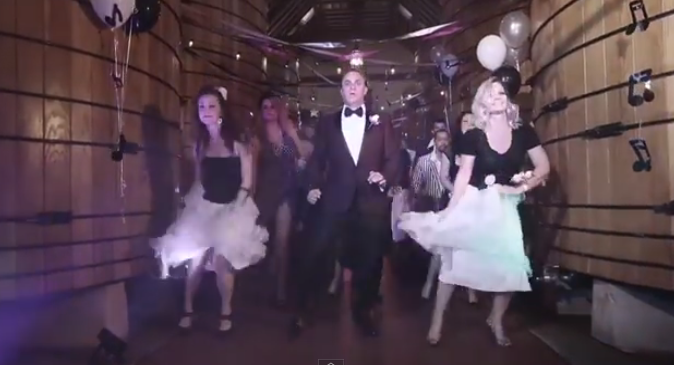 It's a hysterical blend of "Flashdance," "Footloose," and the Pointer Sisters for inspiration! Starring Jordan staff members it was produced, filmed and edited by Jordan's marketing & communications team it's the perfect blend of fun and DIY style. For those interested in learn more about Jordan's new vintages the URL is http://www.jordanwinery.com/wines. Heading up to Sonoma in the near future, or just looking for an excuse?!? Well we’ve got a great reason to do so!!! 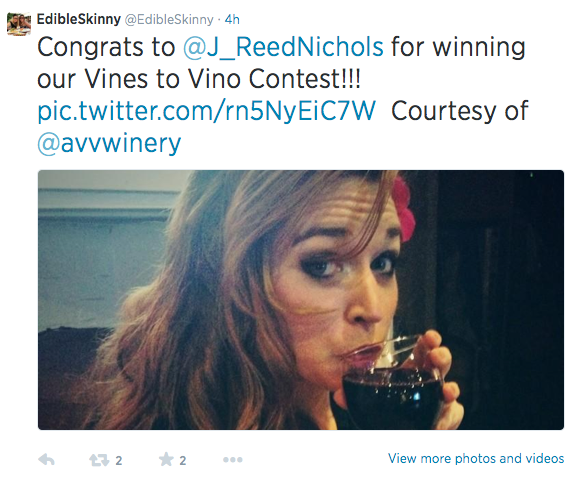 Edible Skinny, in partnership with Alexander Valley Vineyards, is holding a Vines to Vino Twitter Contest. To get in on the action, all you need to do is follow @EdibleSkinny on Twitter and post your favorite wine related picture (we trust you’re discerning enough to know where the taste line is…). Winner gets a Private Reserve Tour and Tasting for 6 people at Alexander Valley Vineyard. You’ll get to taste AVV’s more limited wines, stroll through their ginormous wine cave, and sample wine right from the barrel. The tour will also includes an AVV logo wine glass for you to take home! It’s a $90 value and is awesome (as Edible Skinny got to do one during our Vines to Vino Tour a few months ago). For those not in the know, Alexander Valley Vineyards is a family-owned and operated winery located in the heart of Sonoma's Alexander Valley, on the historic site originally settled in the 1840’s by valley namesake, Cyrus Alexander. With vineyards that stretch from the banks of the Russian River to the Mayacamas hillsides the Wetzel Family continues the tradition of family farming on the property. Their wines reflect the unique character of the region and they are known for elegant Cabernet Sauvignon, a trio of iconic Zinfandels – Sin Zin, Temptation & Redemption, luscious Chardonnay, rich Merlot and our flagship, CYRUS – the first growth of Sonoma. Most definitely one of our favorites from our trip!!! The contest runs 1 week long starting TODAY and closes July 29th at noon PST. So follow and post away! Let’s make life delicious!!! 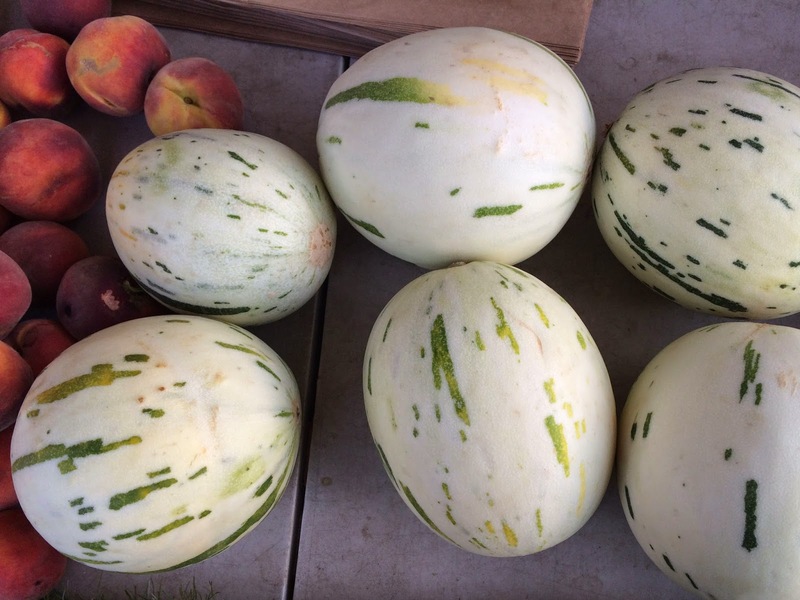 I was checking out the Farmers Market the other day (this time the La Cienega Farmers' Market) when Edible Skinny happened across the new discovery of a Gaya Melon! Gaya Melons are a cross between a Honeydew and Japanese Melon. The melon is on the smaller side with a rind that’s dark green and white (and quite strong, twice it bounced out of my bike basket onto the asphalt and didn’t crack at all). The flesh is a pale green coloring. 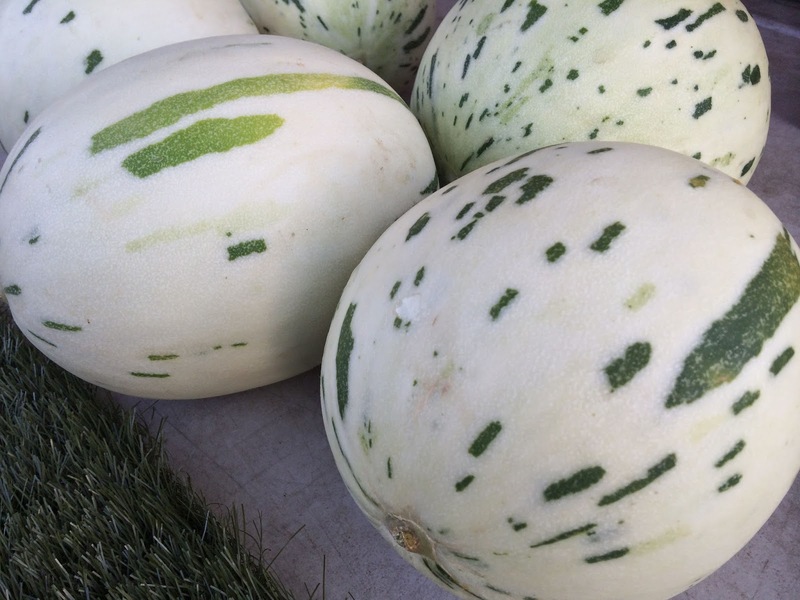 So if you happen across the strong and tasty Gaya Melon in your Farmers Market travels give it a gander! You won't be disappointed!!! I was out for drinks the other night and we got on the subject of how I became a Vegan. I've always said that the reason that I chose to eliminate meat, fowl, and fish from my diet was because I just learned too much.. Ignorance is absolute bliss when it comes to food. Once I hit a certain level of knowledge on modern day food practices the only way I could find a solution to the ethical dilemma of factory farmed food was to stop participating in the system altogether. So yes, this video The Secrets of Food Marketing is biased towards those that feel that factory farming needs a much harder look (it was uploaded by an organization titled Compassion in World Farming). We all need to the take the time to think more about what goes in our mouths. Learn more about your food system! Once you've got the knowledge be your own person! What you do next is up to you! 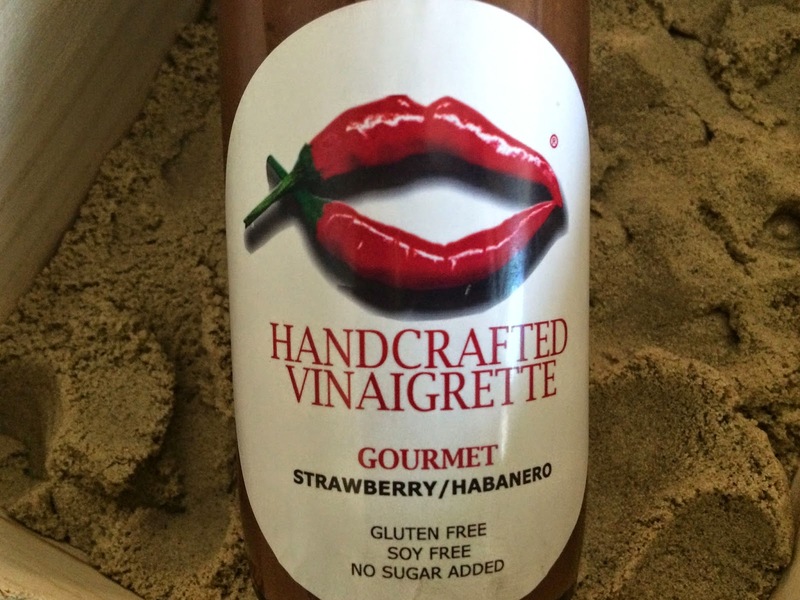 Edible Skinny was at the Miracle Mile Farmers Market today and we came across the most delightful vinaigrette! 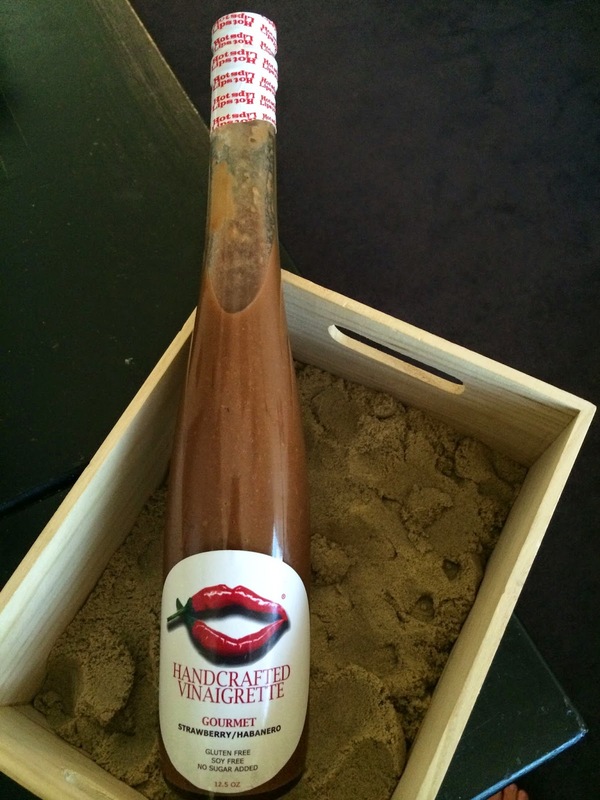 Made by the Arizona based company Fire Lips (the owners’ daughter lives and LA and does the Farmers Markets there), we were deliciously delighted by their Strawberry/Habanero in our spring mix lunch! Made with an apple cider vinegar base the dressing simultaneously sweet and spicy without being overpowering in either flavor profile! Now at $15, the cost is a little bit more pricy than your run of the mill Hidden Valley bottle but you’re paying for quality along with tantalizing taste! Fire Lips is an artisan hancrafted line of soy-free, gluten-free, sugar-free (they use stevia, but they don’t have that chalky aftertaste that some stevia based sauces have), GMO-free vinaigrettes and spicy delicious vinegar free, hot sauces. All ingredients are 100% natural and fresh as they don't use any artificial preservatives. Fire Lips definitely makes any salad or marinade a more exciting and balanced world for your tastebuds!!! If you haven't seen the new Wendy's advertisement featuring '90s R&B giants Boys II Men than you're missing out (b/c it's hysterical!)!!! Best-selling R&B group Boyz II Men recently released its #PretzelLoveSongs video celebrating fans’ Tweets of joy of being reunited with the pretzel bun, which Wendy’s brought back for this summer on its Pretzel Bacon Cheeseburger and Pretzel Pub Chicken. As AdWeek notes, "The classic R&B group's vocal chops alone add more to an already absurd premise than you might expect. Just listen to the trio (formerly a quartet) explain the meaning of an emoji, or harmonize a cappella on syllables like "omnomnom." “We know Millennials are passionate about 90s nostalgia, music and humor—and Boyz II Men delivered on all three in its rendition of #PretzelLoveSongs,” said Craig Bahner, Wendy’s Chief Marketing Officer. “We partnered with Boyz II Men because the group and its members are legends—and it looks like our Pretzel Bun is becoming one too." Once again (w/ feeling! ): YES YES YES! Labels: #PretzelLoveSongs, AdWeek, BOYZ II MEN, Pretzel Buns, Turns Tweets into Love Songs, Wendy's, YES YES YES! 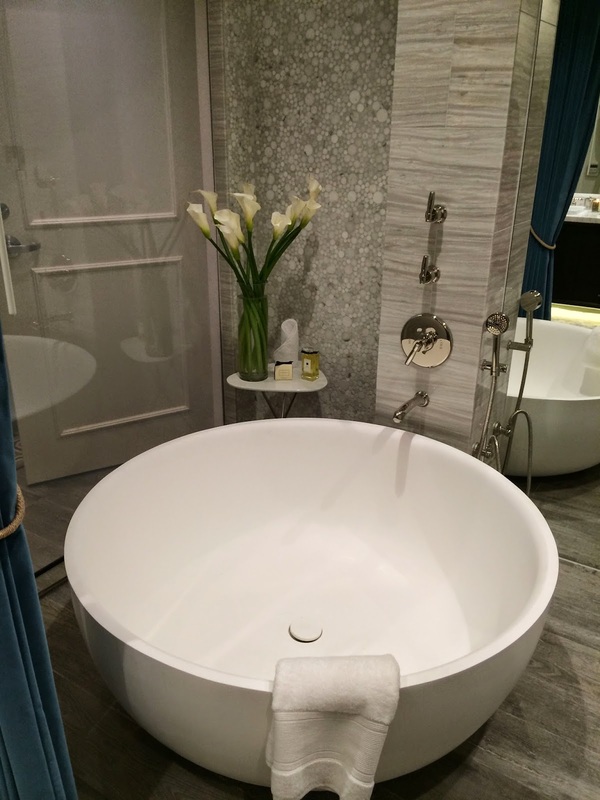 Edible Skinny was lucky enough to be invited to the exclusive unveiling of the newly introduced Bungalow One, a customized, three-bedroom, million-dollar bungalow suite at the Fairmont Miramar Hotel & Bungalow in Santa Monica. 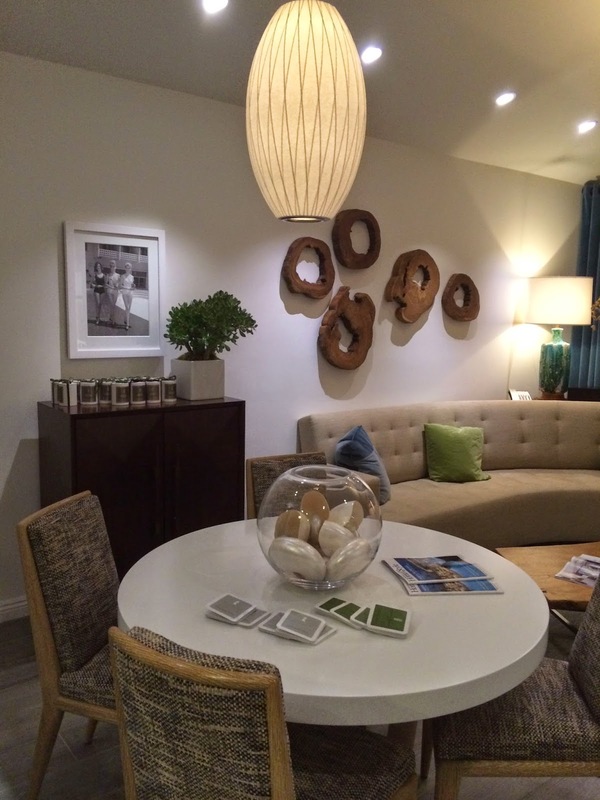 Co-hosted by the Fairmont and the Robb Report Home & Style this event showcased the beachy barefoot elegance that enrobed this mid-century pad as envisioned by L.A. based interior designer Michael Berman. Our evening started with Kelly and I poolside sipping on cocktails featuring Ron Zacapa rum and noshing on tasty bites from FIG. This was followed by a thoroughly comprehensive tour by our amazing guide (and manager of the Fairmont Miramar) Matthew Lehman. Lehman explained that Bungalow One’s poolside hideaway that is part public, part private, is in keeping with the Fairmont’s history as a one-of-a-kind costal hideaway for high-profile guests. Thirty-two bungalows scattered throughout the 4.5-acre property perched above Santa Monica Bay were built in the 1930s and 1940s and have housed such luminaries as Marilyn Monroe, Eleanor Roosevelt, and Charles Lindbergh. Today, the 10-story Ocean Tower, built in the 1950s, anchors the hotel, while the bungalows remain in demand for their homelike ambience amid the poolside bustle. Something sparkly special about Bungalow One is its space. The unit’s indoor and outdoor areas total 2,500 square feet (1,800 square feet inside 700 square-feet outside), which is more than twice the size of any other suite at the hotel. A two-tiered garden area allows for seclusion for spa treatments or a private dinner party for as many as 10 people. So for a beachy luxury suite escape Bungalow One is the perfect hideaway retreat, with the world’s largest ramen bowl. Rob Floyd, the National Director of Mixology at 41 Ocean in Santa Monica, has created a zany libation filled Universe with his irreverent and informed Cocktail Theatre. The first sold out show, which bestows a wry and fantastical view on the history of mixology, featured the story of a luchadore, bunny, and an angry fairy. This Saturday Floyd will return again with a, “Salute to Bikinis and Beach Bums,”exclusively held at 41 Ocean on Friday, July 11th. Floyd has quite the history as a craft concocter, working at such hotspots at Park Avalon in NYC, Chateau Marmont (where he was named of one of the Top Bartenders in America by Blackbook Magazine in 2007), The Bazaar, and the Library Bar at The Roosevelt Hotel in Los Angeles (where he was lead mixologist). 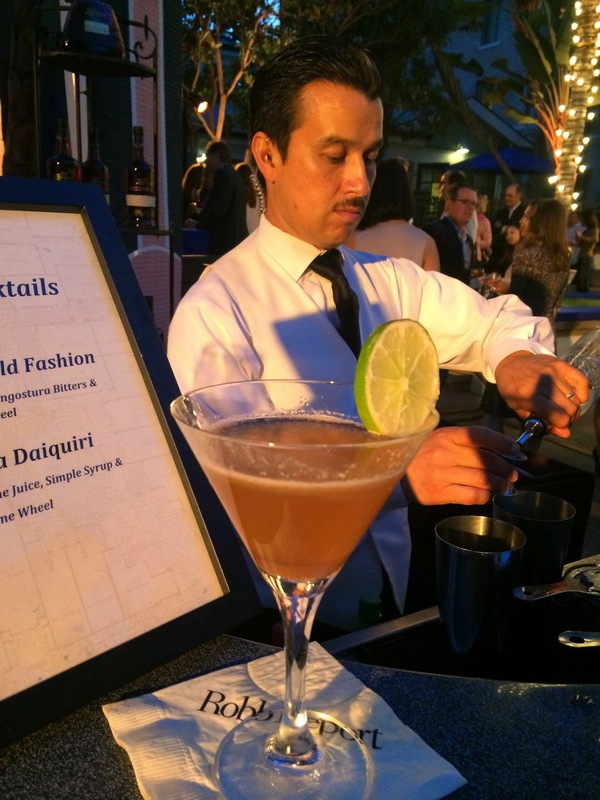 After building what the Huffington Post called “the top molecular mixology program in America,” Floyd topped his own CV by designing unforgettable cocktails for the EMMY’S, GRAMMY’S AND OSCAR’S campaign. He is currently on a national radio show with Chef Jamie Gwen, where he’s constantly composing new creations and sharing his wealth of blending knowledge. But most special of all is his Cocktail Theatre shows which for the past two years, have been selling out in places like Los Angeles, New York, and Las Vegas. In the near future Floyd’s been scheduled for more shows in Mexico City and even Tokyo. For those looking to check out Rob’s one-of-a-kind show you can click HERE. Edible Skinny was recently introduced to the whimsical wheelhouse dozen of Alcove Chocolate. Alcove’s twelve confectionary delights are delightful in quality ingredients, flavor profile style, and packaging that steals the eye with its whimsical design based on 1960s mod wit. Crafted chocolatier specialist and entrepreneur, Tom Trellis, reveals Alcove Chocolate's diverse palate of tastes, which incorporate various fruit zests and unconventional spices into 12 powerful chocolate combinations. These ingenious creations have placed Alcove Chocolate as the frontrunner of the Southern California boutique chocolate movement (when I tried to grab one at Kitson in Santa Monica they were sold out of most flavors)! Palette profiles include Red Velvet - a smooth milk chocolate layered with flavors of cheesecake frosting and chocolate cake (it’s like biting into the game Candyland! ), Fleur de Sel - a dark chocolate temptation of 64% cacao complimented with sea salt, and the Fleur de Pretzel - rich milk chocolate paired with New York pretzels and enrobed in swirls of Fleur de Sel sea salt. Riding on the heels of his highly successful Los Feliz eatery Alcove Café and Big Bar, Tom Trellis was inspired to immerse himself in the science of chocolate and figure out how to create some of the best chocolate in L.A.
"I was fascinated by how strongly people around the world revered chocolate," explained Trellis. "That obsession, plus the unique prospect of chocolate as a new business venture, inspired my creation of Alcove Chocolate." 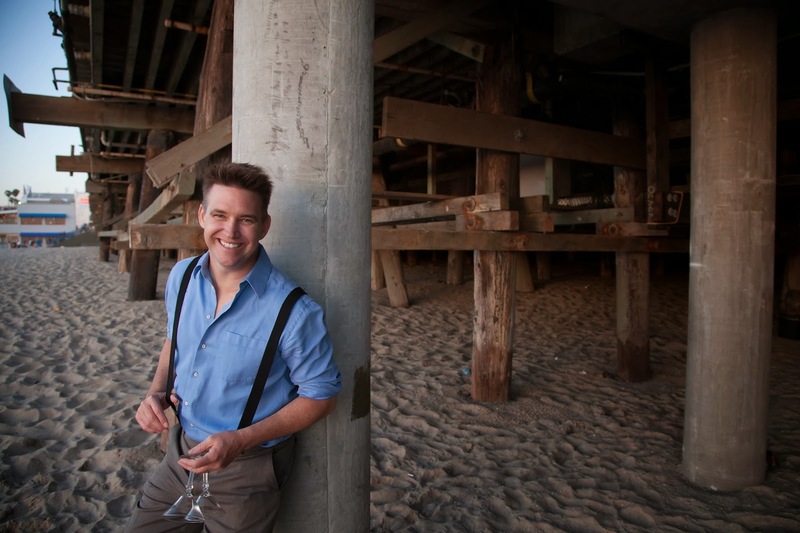 In 2008, he launched Alcove Chocolate amidst a budding trend in boutique confections popping up in SoCal. Trellis diligently honed his expertise and incorporated European chocolate with blends of unique ingredients to produce 12 clever and creative creations (six dark chocolate, six milk chocolate) that span a palate of sweet, savory, and everything in between. Along with being delicious, Alcove Chocolate boasts a one-year shelf life, does not contain any harmful preservatives, and is certified 100% kosher. It is manufactured in an environmentally responsible facility utilizing co-generated power and recyclable materials. Chef Joel Robuchon was inspired to create his first 16 course Vegetarian Tasting Menu not only because his philosophy has always been to feature the freshest seasonal produce, but also because he is aware of the importance of a well balanced diet laden with vegetables (‘cause Veggies Rule!). Through his globe trotting travels, Robuchon has seen vegetarian cuisine as an emerging trend worldwide and has been working to offer more vegetarian based items. With so many wonderful dishes to devise from these hearty green ingredients there is no need to be limited to a simple salad! And with dishes such as La Symphonie aux Saveurs de Printemps (a bouquet of cauliflower cooked slowly with curry and lemongrass emulsion, mushroom ravioli, potato puree topped with Blue Mountain coffee) and L’Aubergine (Eggplant puree with cumin and a lemon confit), I’ll have no problem being drafted ! Who says women aren’t funny? Apparently not one of the largest casinos in Vegas the Venetian (which has over 7,000 rooms with up to 12,000 guests on any given day)! Edible Skinny got to check out some very funny ladies the other night at a special preview event of The Venetian Las Vegas’ LIPSHTICK: THE PERFECT SHADE OF STAND-UP at Morels French Steakhouse and Bistro at the Grove last week. The laughs started early as comic legend Jon Lovitz took the stage to pep up the crowd before introducing the lovely lady comediennes Heather McDonald and Loni Love. Jon joked about how about how excluded he felt by not being included in the female-only comedy series, which kicks off July 11 with Wendy Williams at The Venetian Las Vegas’ Sands Showroom. He gave props to several of the comediennes that will be performing throughout the series including Loni and Heather, Whitney Cummings, Rita Rudner, Lisa Lampanelli, Joy Behar, Iliza Schleshinger, Wendy Liebman, Caroline Rhea, and more. “I’m a huge supporter of female comics and these ladies are very talented,” he shared with the audience. The mostly female audience sipped white wine and noshed on mushroom tarts and Ahi Tuna bites courtesy of Morels French Steakhouse and Bistro. First up was mommy comic Heather McDonald who will be performing July 18th and 19th at the Venetian. Ticket prices range from $37.50 to $97.50, not including tax and handling fees. Tickets are available for purchase by calling The Venetian Box Office at 702-414-9000 or online at www.lipshtick.com orwww.venetian.com.